Sasha: We haven't been around for a while. Rupert: Yes we have, we've been right here! Sasha: (Sigh...) Oh, alright, I meant we haven't blogged for a while. Rupert: Duh! Everyone knows that! Sasha: ... anyway... it wasn't our fault, it was our stoopid human. First she got a sickie in her head. Rupert: You mean she went insane? Sasha: No... well, no more than usual, anyway. Rupert: Was that when she spent the whole weekend lying on the couch? Sasha: No, the head sickie was when she snored really loudly all night. 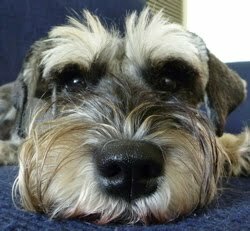 Rupert: And you had to bark at her to wake her up so we could get some sleep! Rupert: ...and she spent the whole weekend lying on the couch. Sasha: Yes. And that put her back out. Rupert: She's been moaning and complaining all over the place - more than usual, I mean. Sasha: And she can't easily bend down to put our leashes back on at the park. Rupert: Is that why you always dart away as soon as she gets within reach of you? Sasha: Yes - that's so much fun! Rupert: Anyway, we don't want everyone to think we've just been lying around on the couch like our human. Sasha: No, indeed! We are two very active and dynamic puppies. Rupert: So we're going to do a special Sunday Sports Report for you. Sasha: We'd like to introduce you to the highly competitive sport of synchronised sleeping. Rupert: It requires a high level of concentration and co-ordination. Sasha: And of course, a lot of practice! 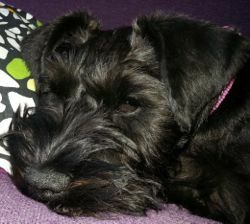 Sasha: We are very dedicated, and intend to do as much practice as doggily possible! YAAAAAAAAAAYYY!!!! We love you guys!!!! We missed you!!!!!!! BOL!!! I will neeed to work on that synchronized sleeping!!! We're so glad to see you back! 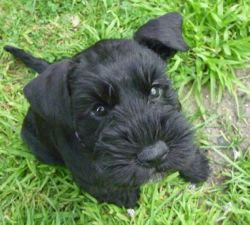 Everyone needs a little more schnauzer in their day, I should know, BOL! I hope your mom is feeling better. You guys have taken this sport to a new level. I'm sure you'll make the Olympic team easily. Oh we understand, our huma has claime sickness all winter hmph. We have had to entertain ourselves too. Oh dear - your poor human sounds like she's been in the wars!! I really hope she's feeling better soon. Your poor human! We hope she's doing better now - they're more fragile than they look aren't they?! 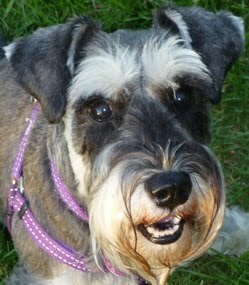 Please give her some huge schnauzer snuggles from us to help her feel better - we know that there's nothing better than double schnauzerness!! We are SO impressed at how quickly you have mastered the snooze synchronisity, you two were obviously destined to be snuggle buddies. LOL ... our two schnauzy pups do the same thing.